One thing that is a universal truth among food writers and food bloggers is that we love to explore all aspects of food - beyond what we may write about. This is the case with this recipe today. When visiting a new city, my wife and I immediately seek out the best restaurants. We do not really rely on touristy information or books, but rather we try to reach out to locals online via message boards, or when we get there just asking around. These two questions normally get us going in a good direction and 9 out of 10 times away from touristy overpriced places. When we go somewhere, we want to experience the local affair. Be among locals. In essence, do as the locals do. Now, I love meat, but I get why people choose to abstain from it. I will also admit at first I was not that thrilled to hear her response. She told us of this delicious avocado toast that was her go-to breakfast item or midday snack. Alright, let’s give it a go! We arrived at this tiny vegan place that was covered with plans and decorated quite artsy. I took a look over the menu and saw that it was not just the typical faux this and faux that - these people were creative. We located the avocado and toast and ordered 2. We sat and chatted, people watched, and chatted some more. The lady brought our plates to the table and set them down. The beautiful green mound of mashed avocado looked like guacamole. Then it hit us - of course this is going to taste amazing guacamole on chips is delicious, this is going to be amazing. Sure enough, it was. It is probably the best vegan dish I have ever had (granted, I have not tried many). I was so inspired by it, that I decided to make my own version and give it a little Greek-inspired twist. This came out amazing, and I have made it about 4 times in the past two weeks. I hope you’ll enjoy this as much as I do. Toast bread in toaster or toaster oven until lightly brown and crispy. Meanwhile, mash up avocado, paprika, salt, pepper, and lemon juice in a small bowl. 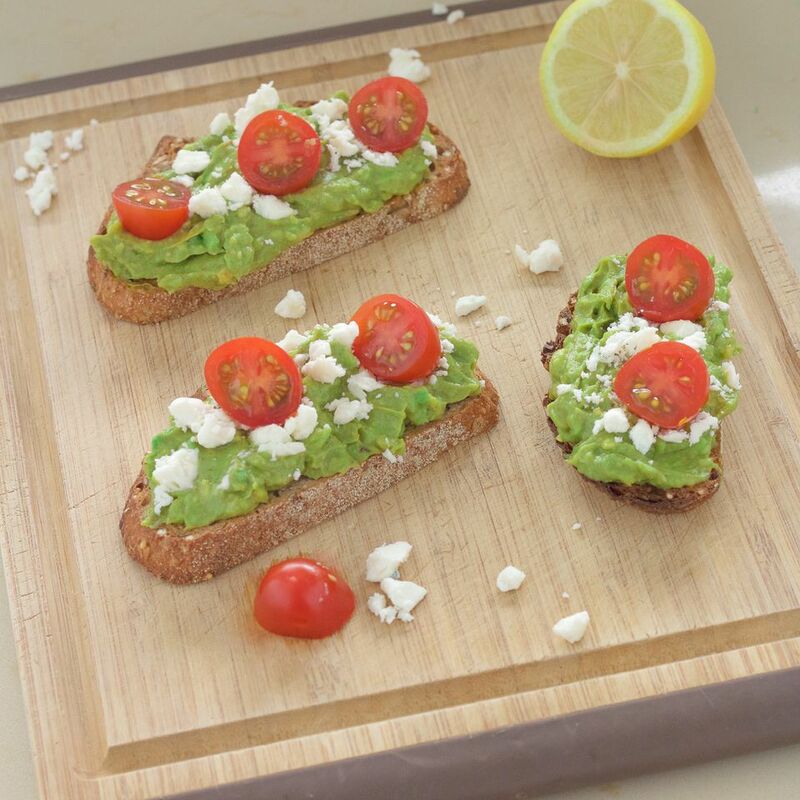 When toast is ready, spread avocado mixture on the top of each slice and top with feta and cherry tomatoes.